reading level and appropriate for young adults and older. 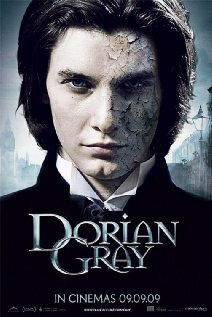 SUMMARY: The picture of Dorian Gray is the story of one beautiful innocent young man’s seduction, moral corruption, and eventual downfall. He is convinced that beauty is all he has to offer the world so he trades morality and happiness to maintain his youth and splendor. He soon realizes that all of his darkest secrets appear as decay on a portrait of him at the height of his beauty. In the end he finds that beauty alone is never enough. If Lord Henry was the little Devil on Dorian’s shoulder then Basil was the Angel on the other shoulder. As a group we recognized his sadness at watching his friend spiral into darkness and evil and we related to these feelings as we have all lost a friend or loved one to one bad choice or another. But what was even more apparent was that Lord Henry was a coward. He did not have the courage to experiment with the evil he preached therefore he lived vicariously through Dorian and pushed his evil on him repeatedly just to watch as the consequences unfolded before him. He was a narcissistic, secretly immoral, coward. Finally, Dorian is faced with the true extent of his evil when he murders Basil. However, rather than take responsibility he casts it onto the portrait and in a moment of rage stabs the portrait and only then does he realize the connection between he and the portrait is greater than he had ever known. As expected Dorian is the cause of his own demise. There are valuable lessons and reminders in The Picture of Dorian Gray. These are not new principles but true no matter the generation of the reader. The world is full of evil and if we are not careful we too can be convinced by the Lord Henry’s in our lives to place a higher value on unimportant things and that can eventually lead to our downfall. Our overall rating was a bit lower than expected because of the disconnected and uneventful middle chapters, however, for the most part we enjoyed the story. 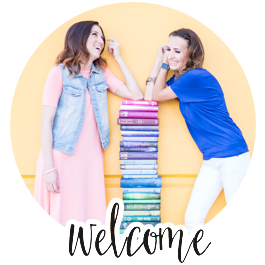 This was a super fun book club read, especially at Halloween!! The decorations were fantastic, the food was delicious, and the company was incomparable! It was a night to remember! Language/Profanity: There are a few mild swear words throughout the book. Nothing more than the average 5th grader has been exposed to. Sexuality: This book is heavy on homosexual innuendoes and references. Violence: There are two murders/suicides in the book and the mention of other violence throughout the book though they are written in such a way that it is not terribly gory or intense. Drug/Alcohol Use: The main character frequents Opium Den’s and all of the characters drink throughout the book. Again the focus of the book is how bad his life is so the rating remains mild. Intense/scary scenes: As mentioned above there is murder but again the writing style makes it less intense therefore the rating remains mild.